A new survey conducted by the Kellogg School of Management in Chicago suggests that more than a quarter of mortgage defaults are strategic, especially when negative equity exceeds 15 percent... ...researchers believe 17 percent of current homeowners would voluntarily walk away (even if they could afford the mortgage) if negative equity exceeded 50 percent of the home value. The global insurance market is likely to remain subdued in 2009 with a recovery only coming in 2010, Swiss Re (RUKN.VX), the world's second-biggest reinsurer, said in a study published on Tuesday. Embattled insurer American International Group Inc. disclosed in a regulatory filing that it could face additional losses on credit default swaps remaining on its books. Home prices in 20 major U.S. metropolitan areas fell in April at a slower pace than forecast, a sign the plunge in real-estate values is abating. In response to Gov. Arnold Schwarzenegger's proposal to sell off a $1 billion portion of California's State Compensation Insurance Fund, Insurance Commissioner Steve Poizner issued a 16-point response -- a lengthy list of questions for lawmakers to consider before partially privatizing the fund. "A hasty or ill-considered sale could wreak havoc on the already volatile workers' compensation market," Poizner said in a statement. "State Fund has a unique role as both an insurer that provides competitive rates and one that insures much of California's small businesses and others who cannot find insurance in the private market. ... Any sale would have ramifications throughout California's business community, affecting the availability and cost of workers' compensation insurance for all California's employers..."
North Carolina legislators continue to look for ways to fix the beach insurance plan for coastal homeowners before another hurricane season passes. General Electric, the world's largest industrial company, has quietly become the biggest beneficiary of one of the government's key rescue programs for banks. The company did not initially qualify for the program, under which the government sought to unfreeze credit markets by guaranteeing debt sold by banking firms. But regulators soon loosened the eligibility requirements, in part because of behind-the-scenes appeals from GE. The U.K. economy shrank more than previously estimated in the first quarter in the biggest contraction since 1958 as the recession choked industries from construction to services. Gross domestic product fell 2.4 percent from the final three months of 2008, compared with the prior measurement of a 1.9 percent drop, the Office for National Statistics said today in London. The median prediction in a Bloomberg survey of 28 economists was for a 2.1 percent decline. Construction activity plunged almost three times as much as originally estimated. As we take in the 150-year prison sentence of disgraced financier Bernie Madoff, many questions remain regarding the up-to-$65 billion Ponzi scheme he masterminded. For investors, however, the episode raises one question that supersedes all others: How do I avoid investing my money with a fraudster? A new survey of independent registered investment advisors (RIAs) released today by TD AMERITRADE Institutional, a division of TD AMERITRADE Holding Corporation, shows RIAs surveyed continue to report strong growth as investors move their money from wirehouses to independent advisors. More than 80 percent of RIAs surveyed report new client numbers are up or remained steady over the last six months as the RIA model continues to build momentum. Half of the RIAs surveyed reported an increase in new clients; many say clients are looking for an alternative to full service brokerages. Broker defections, a loss of market share and spinoffs could be on the horizon for insurance-affiliated broker-dealers if the Obama administration's proposed regulatory reforms force them to act as fiduciaries. The financial services sector can count on plenty of merger and acquisition activity in the near future, as insurance companies and retail banks try to turn themselves into financial supermarkets, according to a Tiburon Strategic Advisors report on mergers and acquisitions in the financial services industry that was released on Friday. The window might be quickly closing on consumers' opportunity to refinance at great rates — not their home mortgages, but their term life insurance, experts say. The impaired risk life market has changed significantly in the past 12 months. While some companies have become more aggressive across the board, others are tightening underwriting standards and targeting their underwriting to focus on particular risks. We are currently seeing several major carriers making very aggressive offers. Someone who is truly uninsurable will always be uninsurable, but some carriers are “sharpening the pencil” when necessary to place a case. Publicly traded life and annuity companies are feeling wide ranging impacts from volatile equity, fixed-income and housing markets, affecting not only financial statements but business strategies. Executive teams are rethinking investment allocations and evaluating impairments while retooling their product portfolios and operating plans. Everyone knows 2008 was an extremely tough year, with the global financial crisis shaving off hundreds of billions of dollars in global wealth. The latest World Wealth Report attempts to measure those losses, at least for the world's richer population which bore the brunt of the impact of the crisis. Three financial representatives who worked for Northwestern Mutual Life Insurance Co. have filed a $200 million lawsuit against the company for failing to pay them overtime wages under California and federal law. The suit was filed on Thursday in federal court in San Diego on behalf of all sales and financial representatives at Northwestern Mutual who allegedly were denied overtime compensation. Lint v. Northwestern Mutual Life Insurance Co., No. 09-cv-1373 (S.D. Calif.). Perhaps the poster child for the Wall Street bailout, American International Group Inc. is making an attempt to pay for its over-leveraged sins. The company has agreed to pay back $25 billion in loans received from the Federal Reserve Bank of New York, by launching an initial public offering for two of its international life insurance businesses. AIG will convert its equity in both American International Assurance Co. [AIA] and American Life Insurance Co. [ALICO] into “special purpose vehicles,” in an attempt to raise capital to pay back its debts, according to a release from the company. Although financial advisers have been leery of life insurance with long term care benefits, the products appear to be generating interest among consumers trying to insure against multiple risks and search for a place to store assets, according to a new study. Life insurers are raising variable annuity prices and cutting back on benefits even as customers reduce their investments in what insurers hope is a temporary pullback. Complete collapse in foreign interest for GSE debt: North American holdings of the latter have increased from 50% to 80% of total notional in one year! ...First, equity index annuity providers and marketers became panicky when the former NASD, now the Financial Industry Regulatory Authority Inc. of New York and Washington, started to push for broker-dealer oversight on the sale of these complex products. Then the Securities and Exchange Commission was forced to consider classifying and regulating these products as a security. Americans looking to figure out just where they stand financially don’t necessarily need to hire a pricey financial planner -- not when there are a slew of no-cost financial planning software models that give you the financial equivalent of a health check-up and a prescription for what to do next. A caveat though … we're simply talking the basics here. For any complicated personal financial planning moves, like crafting an estate plan, allocating investment assets, or handling an inheritance, using a savvy financial professional is still the best way to go. But to give yourself a financial check-up and to see where you are on the path to your long-term financial goals, there’s a fairly abundant menu of online, financial planning software options that can get the job done for free. This weekend's NHL draft will determine the professional fate of 211 young men and although budding hockey stars like John Tavares and Victor Hedman will likely earn millions, there is no guarantee that their financial future is secure. Merrill/Capgemini Versus Independents: Where Is the Money Going? In 2008, high-net-worth individuals (HNWIs) spread their assets among more wealth management firms, and said they would be less likely to do business with registered independent advisory firms in the near future, according to “World Wealth Report 2009,” a study released by Merrill Lynch Wealth Management Wednesday morning. The finding has generated interest—and debate—among wealth management professionals who say that independents are still holding their own when it comes to attracting and retaining clients. BIC: Merrill/Capgemini Versus Independents: Where Is the Money Going? American International Group Inc. said Thursday it will reduce outstanding federal loans by $25 billion by giving the government a preferred stake in two units that will be spun off from the insurance giant. AIG is placing two life insurance subsidiaries — American International Assurance Co. and American Life Insurance Co. — into special purpose vehicles ahead of planned initial public offerings. SPVs are entities sometimes set up ahead of the spinoff or sale of a unit to separate its operations from the parent company. Insurer and investment manager Lincoln National Corp. said Thursday a Federal District Court in Iowa validated an earlier jury decision in favor of its subsidiary, Lincoln National Life Insurance Co., in a patent infringement lawsuit. Three former employees of Northwestern Mutual Life Insurance Company today filed a suit alleging longstanding federal and state wage and hour violations by the company in US District Court for the Southern District of California (San Diego). The complaint asserts the plaintiffs and other employees of the company in similar sales and financial representative positions were denied the minimum pay and overtime compensation to which they were entitled. U.S. life insurers have experienced a significant deterioration in investment results in 2008, negatively affecting industry earnings and capital, as discussed in a Fitch Ratings report. A Federal District Court judge in Iowa has affirmed a $13.1 million patent- infringement award to Lincoln National Corp. (LNC) regarding a computerized method of administering variable annuities... A jury in February decided in favor of Lincoln National in its lawsuit against fellow insurer Transamerica, owned by Aegon NV (AEG). Slum-dweller Krustin bin Juri lost everything when floodwaters swept through his home and shop on the banks of Jakarta's filthy Ciliwung river two years ago. But when the next flood hits, and it will because Jakarta sees frequent floods in the rainy season, bin Juri may have a modicum of protection thanks to a low-cost insurance policy that he purchased this month. Hartford Financial Services Group Inc. said it has completed its acquisition of Federal Trust Corp. for $10 million in cash. Federal Trust is a unitary thrift holding company and is the parent company of Federal Trust Bank, a federally-chartered, FDIC-insured savings bank. It has 11 full-service offices in Florida in Seminole, Orange, Volusia, Lake and Flagler Counties. The company is based in Sanford, Fla.
John Hancock Funds has launched a new, web-based tool called "Portfolio Insight" that allows financial advisers to create detailed analyses of client portfolios and to prepare high-quality, customized reports quickly and efficiently. The result is a comprehensive, transparent view of a client's mutual fund holdings that can help build client confidence by advancing an understanding of their investments and asset allocation. If the economic downturn has forced you to rethink your plans for retirement, it's a good idea to discuss your concerns with your spouse or partner. Before you have this conversation though, you might want to clear the room of sharp objects. That way, nobody gets hurt. The official AARP provider of choice for auto and home insurance represents itself as a pillar of the community. It also symbolizes how offering guaranteed minimum payments on variable annuities can come back to bite you. How can the insurer demonstrate stability? Recent changes to the way the U.S. Treasury tallies demand at its bond auctions may be artificially inflating "indirect bids," a category used by investors as a loose proxy for foreign demand. 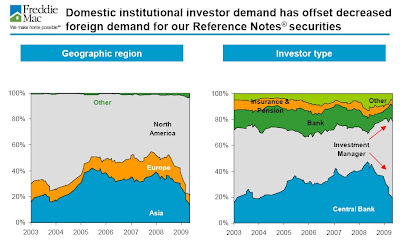 Foreign investors own more than a quarter of the Treasury market, making their continued interest in U.S. bonds of paramount importance to the market. American General Life Cos., part of AIG, is closing its operations center in the Walker's Point neighborhood, resulting in the loss of more than 250 jobs... American General Life Cos. will lay off 291 employees in Milwaukee and 124 Houston employees as part of a major work force reduction nationwide. The Midwest Operations Center at 750 W. Virginia St. in Milwaukee's Walker's Point neighborhood, which had a total of 312 employees, will be shut down. AIG laid off 254 of those employees and retained 58, who will move to a marketing and operations center at 1200 N. Mayfair Road in Wauwatosa or possibly work from home. The company also eliminated 37 jobs at the Mayfair Road office. It absolutely amazes me how sanguine the Fed, Treasury and Administration are about the prospects for subdued inflation. What they and many economists like to point to as the source of their optimism is the high rate of unemployment, which is currently 9.4%. After turning over nearly $400,000 to buy what they thought was an ERISA employee welfare benefit plan, two Virginia doctors believe they were the victims of an elaborate nationwide theft ring and are suing to get their money back... The doctors allege the insurance plans have conned at least 500 people out of more than $300 million. As talk simmers of a possible economic recovery, experts are betting that insurance firms with a wide geographical reach are likely to rise above sector rivals in the new financial era. Among potential winners, analysts single out large insurers with life and non-life operations that wield a strong presence in Europe and still fast-growing regions such as Asia. Life insurers and banks bashed the administration’s proposal for a Consumer Financial Protection Agency today at a House Financial Services Committee hearing. While the economy is a "shambles" and likely to stay that way for some time, he remains optimistic there will eventually be a recovery over a period of years... Despite his negative view on the economy, Buffett still believes the stock market is attractive "over the next 10 years" when compared to alternatives like Treasury bonds. The European Central Bank pumped a record €442 billion ($622 billion) into euro-zone money markets Wednesday in its first-ever offer of one-year funds as it battles the Continent's recession. American International Group on Thursday said it's received approval from the Federal Reserve Bank of New York to proceed with initial public offerings of two of its international divisions, a deal that will see taxpayers recoup $25 billion of the money poured into the troubled insurer. Life insurance companies are struggling to emerge from the shadows of 2008’s losses, but in the long run they will prosper, according to a study from Conning & Co. If the budget crisis is not solved, county agencies, vendors and tax-refund recipients will receive warrants instead of checks, Controller John Chiang warns. Reporting from Sacramento -- The state controller announced this morning that he will have to begin issuing IOUs next week if California lawmakers and Gov. Arnold Schwarzenegger don't settle on a solution to the $24-billion deficit. The board of trustees for the Fidelity Charitable Gift Fund has voted to lower the minimum asset requirement for its Charitable Investment Advisor Program (CIAP) to $250,000 from $1 million. Out of 50 indexed annuity (IA) insurers, 12 have either left the annuity business or gone into rehabilitation since 2008, according to a survey by the National Association of Insurance Commissioners (NAIC). The study also found total premiums for the IAs among the 50 companies dipped to $21.5 billion in 2007 from $22.2 billion in 2006 and $23.4 billion in 2005. Stuart H. Reese, who was named MassMutual's CEO in June 2005 after scandal engulfed the company's previous chief, will step down at the end of this year and become nonexecutive chairman of the board. The housing market may have experienced some ups and downs this year, but the spirits of potential first-time homebuyers across Canada remain strong. According to Genworth Financial Canada's First-Time Homebuyer's Monitor released today, 84 per cent of those surveyed said that owning a home goes beyond its financial value and feel that homeownership pays off in more ways than one. Bank-owned life insurance assets ballooned to $126.1 billion last year, up 5% from $120.1 billion in 2007, according to recent research from Michael White Associates LLC. The seniors group AARP sharply criticized Gov. Rick Perry on Tuesday for vetoing a bill – backed by consumers and the insurance industry – that would have established new safeguards for buying annuities. The House and Senate passed the measure unanimously, but Perry rejected it Friday, saying it could allow "frivolous litigation..."
Extended Stay Hits Snags as Creditors Cry Foul; Lichtenstein as 'Bad Boy'? David Lichtenstein is facing challenges to the plan that took his Extended Stay Hotels chain into bankruptcy protection. At stake for the real-estate investor: Whether the filing could trigger $100 million of personal liability that he has tried to avoid. Citigroup Inc., the U.S. bank that got $45 billion of government funds, will raise base salaries by as much as 50 percent to help compensate for a reduction in annual bonuses, a person familiar with the plan said. The biggest increases will go to investment bankers and traders, said the person who declined to be identified. Workers in consumer banking, credit cards, legal and risk management will see smaller salary adjustments. The New York-based company also plans to award stock options to try to keep employees after Citigroup’s market value plummeted 84 percent in the past year. Sun Life Financial Inc. has added new leadership to its U.S. annuities division to increase variable annuity sales, but analysts say the Toronto company has to overcome larger competitors as well as wary advisors and consumers. Terry Mullen, the president of the division, Sun Life Financial Distribution in Wellesley, Mass., who was hired from Lincoln Financial Group last year, said Sun Life has "aggressively topgraded" its wholesalers over the past fives months to boost distribution. The life-annuity industry is still struggling to shake off the impact of the financial crisis of 2008 and the resulting significant decreases in assets and surplus, according to a new report by Conning Research and Consulting. "Preliminary results for 2008 indicate that the life insurance industry had a statutory net loss of $51 billion, and that ending surplus plus AVR dropped 13 percent to $273 billion," said Terence Martin, analyst at Conning Research & Consulting. "Our latest forecast for the life-annuity industry projects net operating gain to recover, but realized and unrealized capital losses will continue to challenge the industry at least through 2009. While the industry will show a net statutory operating gain in 2009, it will be far below the robust levels of 2003 through 2007." Why Are Online Broker Accounts Growing? Bear markets have often been times when investors swear off stocks. But this time around, online discount brokerages are reporting sizable jumps in clientele during one of the steepest sell-offs in decades. Scotiabank’s discount broker, for example, racked up 60% growth in accounts over the past year. Other major online brokerages were not far behind. Seeking Alpha: Why Are Online Broker Accounts Growing? Harvard University, whose mammoth endowment has been slammed by the market downturn, is losing another one of its top investors. Marc Seidner, who oversees investments in US fixed income securities at Harvard Management Co., plans to resign at the end of the month, according to a person familiar with the matter. Seidner couldn’t be reached for comment. A Harvard spokesman declined to comment. The U.S. Justice Department may drop a legal case aimed at forcing UBS AG to reveal the names of 52,000 wealthy American clients suspected of offshore tax evasion, the New York Times reported on Tuesday. Irving H. Picard, the court-appointed trustee in charge of liquidating the investment firm of Bernard L. Madoff today filed a suit against New York-based broker dealer, Cohmad Securities Corp. to recover what he alleged were decades worth of "ill gotten gains" received as a result of the firm's "symbiotic relationship" with Bernard L. Madoff Investment Securities LLC. Cohmad, formed by Mr. Madoff's friend and former neighbor, Maurice "Sonny" Cohn, had "little other business or purpose," than to steer customers to Mr. Madoff's investment firm, Mr. Picard alleged in Picard v. Cohmad Securities Corp., 09-AP 1305, filed in Southern District U.S. Bankrupty Court. Mr. Picard claims that as much as 90 percent of Cohmad's reported income came from referrals to Mr. Madoff. Cohmad, Mr. Cohn, his daughter, Marcia, who acted as the company's chief operating officer, and other Cohmad principals comprised part of Mr. Madoff's "inner circle" and had "unique access " to his investment advisory "business," Mr Picard's complaint states. He claims that the defendants profited from Madoff's Ponzi scheme "to the tune of several hundred million dollars through conduct that they knew or should have known was inconsistent with legitimate or credible securities or broker-dealer business activities." Shares of Manulife Financial Corp. (MFC) are down sharply Monday after the insurance company made a series of surprise announcements late Friday that could cut its earnings outlook. A steep drop on the Toronto Stock Exchange is contributing to the sell-off... In Toronto, Manulife is off C$2.93, or 12.6%, to C$20.32 on 9.7 million shares. Advisor Products Inc. has integrated its Personal Client Portal with the web-based customer relationship management system of Redtail Technology Inc. of Gold River, Calif. Using the portal technology of Westbury, N.Y.-based Advisor Products, financial advisers can set up a secure financial web page for each client. That dedicated page will allow clients to access their account data from advisers’ portfolio management, financial planning and CRM systems, as well as market data. Advisers can also publish a blog and provide other personalized financial content to clients via the system. Banking companies will be hard-pressed to repeat a banner 2008 in terms of sales of fixed annuities. Fixed annuities were popular late last year and early this year, but with interest rates falling and the markets in a fingers-crossed recovery, executives and analysts expect demand for these products to start tapering off. With many insurers and financial institutions looking to fund potential capital shortfalls by divesting non-core insurance businesses at attractive valuations, strategic buyers and sovereign wealth funds may be able to expand into new markets through acquisition, according to Deloitte's The 2009 Insurance M&A Outlook: Opportunity in an Uncertain Environment, released today. Jefferson National's Monument Advisor, the first flat-insurance fee variable annuity with the largest supermarket of more than 175 tax-deferred investment options, now offers the VA industry's most subaccounts with the Five-Star Morningstar Rating according to the latest Morningstar Direct data. Manulife Financial Corp. said Friday it has received an enforcement notice from regulators over what Canada's largest insurance company told investors about the risks of its guaranteed fund business. During this tough economy, the financial burden on cancer patients can be especially trying. Balancing everyday expenses with care-related costs and, for some, income loss, can result in significant financial stress. Recognizing these challenges, Dana-Farber Cancer Institute has teamed up with the Financial Planning Association of Massachusetts to offer free, individual financial coaching services to its patients and their caregivers. It is one of the nation's first such programs. Several trade groups and the Office of the Inspector General appeared Thursday before a House Financial Services Subcommittee on Oversight and Investigations where they called for more resources to ensure HUD program’s presence in the mortgage market remains. According to a testimony from HUD, the Federal Housing Administration has seen dramatic changes in its business. It has gone from less than 3% market share a few years ago to approximately 30% of the single family mortgage market today. Term Life Insurance Policy Illustrations... Fact or Fiction? ..."Ever since life insurance companies and their agents have been using computers to produce policy illustrations, these illustrations have been, at best, misunderstood," says Byron Udell, founder and CEO of AccuQuote. "Worse, they have all too often been used - either negligently or intentionally - by agents to create unrealistic expectations in the minds of life insurance buyers." eMediaWire: Term Life Insurance Policy Illustrations... Fact or Fiction? Staff at Goldman Sachs staff can look forward to the biggest bonus payouts in the firm's 140-year history after a spectacular first half of the year, sparking concern that the big investment banks which survived the credit crunch will derail financial regulation reforms. Some financial advisers are rethinking the idea of: Buy term insurance and invest the difference. That old saw refers to purchasing term life insurance instead of buying the more expensive permanent coverage such as whole life and encouraging customers to invest the money saved. Legislative movement is afoot to address the long term care crisis, but recent efforts may be thwarted as the Obama administration grapples with health care reform, according to public-policy experts. “We won't see anything to move in the direction of more funding for long term care,” said Dallas L. Salisbury, president and chief executive of the Employee Benefit Research Institute in Washington. “With the government's fiscal situation and the unsustainability that the president has stated is present for Medicare and Medicaid, if anything, there will be a reduction [in spending]..."
If you are a commercial banker, savings and loan operator, mortgage broker or hedge fund artist, there is a lot to concern you in the regulatory-reform proposal outlined by the Obama administration last week... If you are a securities broker, the plan might have you shivering in your product-and-customer suitability boots. Bank holding companies generated 29% more revenue from the sale of annuities last year than in 2007 and set a record with annuity sales of $2.61 billion. Well, just when you thought that the Bearer Bond story was finished, it gets twisted yet again. “They’re clearly fakes,” said Stephen Meyerhardt, a spokesman for the U.S. Bureau of the Public Debt in Washington. Uh, Bloomberg..... how about an accurate quote? "Based on the photograph we've seen online, they are clearly fake. And not even good fakes," said Stephen Meyerhardt, a spokesman for the Treasury's Bureau of the Public Debt. Online? You mean that the Treasury Department hasn't been sent a high-resolution digital photo of what was seized? A week after the fact? I don't believe you Stephen. In the last two years, Italian authorities have seized some $800 million of U.S. bonds in the Como area in northern Italy. Hit for the Zöllner: The contraband securities valued at 134 billion U.S. dollars are apparently real. Die italienische Finanzpolizei hatte zwei Japaner ertappt, die im doppelten Boden eines Koffers milliardenschwere Anleihen in die Schweiz schaffen wollten. The Italian financial police had two Japanese caught in the false bottom suitcase billion-dollar bonds in Switzerland wanted to create. Von dem Fund profitiert das hochverschuldete Italien. Note that this has received very little coverage in the so-called "mainstream US media" - but it is everywhere in Europe and Asia. Chalian ABC News’ David Chalian Reports: Health Care for America Now (HCAN), one of the leading interest groups on the left fighting for health care reform that includes a public option, is launching a 10-day, $1.1 million TV ad campaign in 10 states with key targeted senators: Arkansas, Delaware, Florida, Iowa, Louisiana, Maine, New Mexico, North Carolina, Oregon, and Washington. Although one of the main policy goals for HCAN is to get a public option included as part of the health care reform effort in Congress, the new ad seems to concede a bit to the political reality of just how difficult that goal may be to achieve... The mention of a public option doesn’t come until 20 seconds into the 30-second spot. MassMutual's Retirement Services Call Center recently earned Gold and Silver awards as well as being highly commended in the 2009 Top Performers in the Contact Center Industry competition sponsored by ContactCenterWorld.com, North America. To succeed in financial services, you must be able to find and close a sufficient number of highly qualified prospects. This highlights why most agents who do traditional "cold-calling" fail. They fail because most of the appointments they make are with low probability prospects -- prospects who will not buy. Prudential plc announces that it has completed the transfer of the assets and liabilities of its agency distribution business and its agency force in Taiwan to China Life Insurance Company, Ltd of Taiwan ("China Life"). Treasuries were little changed, erasing earlier gains, as the market prepares for a record $104 billion of auctions next week. Nationwide Life Insurance Co. on Thursday announced plans to cancel contracts with a union that some have alleged amount to kickbacks. The move came a day after the State Personnel Board voted to end the contract that gave Nationwide responsibility for more than 11,000 state employee pensions. Five of the nation’s largest organizations representing the life insurance industry are voicing their support for optional federal insurance regulation to legislators. The Actuarial Profession has put a prototype model to project future mortality rates out for industry consultation... The model has been developed in response to the continuation of significant increases in life expectancy since projections were last published by the Profession in 2002. Deutsche Bank issued some positive comments on Hartford Financial (NSYE: HIG) saying the new TARP and equity capital insulates the company from significant credit and equity market deterioration. A decision by China to reduce its US Treasury holdings suggests concern about the US attitude towards its economic woes, Chinese economists were quoted as saying in state media Wednesday. Zero Hedge: The Doubling Of Unemployment "Paychecks"
R. Allen Stanford, under investigation in an alleged $8 billion fraud involving sales of certificates of deposit through his Antiguan bank, surrendered to federal agents yesterday, his attorney said. A.M. Best Co. has affirmed the financial strength rating (FSR) of A (Excellent) and issuer credit ratings (ICR) of “a+” of American United Life Insurance Company (AUL) (Indianapolis, IN) and its affiliates, The State Life Insurance Company (Indianapolis, IN) and Pioneer Mutual Life Insurance Company (North Dakota), comprising the OneAmerica Group (OneAmerica). Concurrently, A.M. Best has affirmed the debt rating of “a-” on the surplus notes of AUL. Additionally, A.M. Best has affirmed the ICR and senior debt rating of “bbb+” of OneAmerica Financial Partners, Inc., an intermediate holding company. The outlook for all ratings is stable. Standard & Poor's Ratings Services warned its considering cutting the AAA credit rating on Massachusetts Mutual Life Insurance Co., while also lowering its ratings outlook on two other AAA-rated U.S. life insurers, amid investment losses and credit impairments. Eight state attorneys general want President Barack Obama to keep in mind their roles in consumer protection as he overhauls the financial regulatory structure. RIA In A Box (www.riainabox.com), a consulting business aimed exclusively at fast, efficient creation of registered investment advisory firms, today announced it has expanded beyond its Houston headquarters, adding offices in Manhattan and Orlando, Florida. In addition, the company states that it has experienced substantial growth in each of the last two years. Annuities as an investment option in defined contribution plans have legal and fiduciary hurdles to overcome before there's any chance they will become commonplace, members of a Pensions & Investments round table warned. “BuyaPension.com was created to help consumers create, safe, secure retirement plans.” say the founders. “BuyaPension.com was created to help consumers create, safe, secure retirement plans.” say the founders. “Clearly, the time was right for a new way to sell annuities and retirement planning, by educating potential retirees and acquainting them with various types of annuity programs available to help insure that their retirement plans will pay off when they need them. “Annuities are the wave of the future”, say the founders at BuyaPension.com. “As more and more Americans find themselves in charge of their own retirement plans, annuity programs will be a big part of their efforts to protect those retirement plans in good times and bad. With the growth of the Internet it is only natural that more and more people will be seeking to buy an annuity online. Therefore, consumers have to be educated on how to get the most from annuities. Individual long-term care insurance sales fell by a third in the first quarter, as consumers chose to spend their money on more immediate needs. The 34% decline for the first quarter when compared to the fourth quarter in 2008 marks the second straight quarter where premium showed double-digit declines, according to LIMRA’s Individual Long-Term Care Sales survey. Penn Mutual Life Insurance has created a Professional Advisors Alliance program with the aim of bringing together financial advisors and CPAs to expand their services, distribution channels and revenue. There are a number of economists who strongly object to even the basic idea that government spending is a useful tool during this crisis. For example, 1995 Nobel Laureate Robert Lucas called multiplier estimates from Economy.com "schlock economics"; John Cochrane of the University of Chicago has called government spending stimulus "a fallacy"; Robert Barro of Harvard called one version of the American Recovery and Reinvestment Act (ARRA) "the worst bill that has been put forward since the 1930s..."
It’s a plot better suited for a John Le Carre novel. As many as 7 million Americans have long-term care insurance policies, and many states confronting burgeoning deficits are urging consumers to buy this type of insurance as a way to protect Medicaid budgets. But at a recent Senate hearing, lawmakers and watchdog groups cautioned that greater consumer protections are needed. Bernard Madoff, who ran the biggest investment fraud in history, has partially settled a U.S. Securities and Exchange Commission civil complaint against him without having to admit any wrongdoing. Sales of individual guaranteed renewable disability insurance policies have been holding up well during the recession, and are expected to grow at an attractive clip. Higher-income individuals are also buying bigger-ticket policies. Over the past four years, sales of individual guaranteed renewable coverage grew at an annual rate of 5 percent to $211 million in 2008,according to according to insurance trade group LIMRA. Sales of group coverage, as well as non-cancelable individual coverage, declined in the first quarter, but remained up about 10 percent over the same period. Barry Miller figured he was saving $100 a month when he scaled back his disability insurance. After all, he was healthy. "It just looked like the policy was too expensive," said Miller, who was paying for his own disability insurance carried over from a previous job. "Sometimes you don't know what will happen." Lincoln National, the insurance company, said on Monday that it would take nearly $1 billion in federal bailout money, issue new stock and debt, and sell its British insurance business in an effort to shore up its deteriorating capital base. Proponents of creating an optional federal charter for the insurance industry, which is currently regulated by the states, were set to press their case Tuesday before a House panel. The issue has split the industry, pitting life insurers and large property and casualty insurers against small and medium-sized P&C and mutually-owned companies. Given the stock market’s volatility, a number of 401(k) plan sponsors are seriously discussing adding an annuity option to their 401(k) plans. Ever since his company closed its defined-benefit plan to new hires in 2007, Tony Cost has been looking for ways to guarantee his 401(k) plan participants some post-retirement income. But it’s just been recently that his colleagues have started to take his idea more seriously. "This could mean a hell of a lot to a retiree," says Cost, who is vice president of HR at Silgan Containers, a Woodland Hills, California-based container manufacturer with 4,000 employees. The Financial Industry Regulatory Authority Inc. yesterday adjusted its variable annuity suitability rule, releasing the final version of the much-debated Rule 2821. Originally, the rule had four major components. John Hancock Financial Services says it hopes to broaden the appeal of variable annuities by making them less like the complicated insurance products they've been and more like mutual funds. Hancock's effort comes as many insurance companies have been raising prices on and adding restrictions to their variable annuity offerings. As he prepares to release the most extensive proposals to change financial regulations since the 1930s, President Barack Obama is a bit anxious. Anxious, that is, for people -- and specifically for his conservative critics -- to know he isn't the heavy-handed meddler some suspect. A new consumer-protection agency pushed by President Obama would have wide powers to regulate financial products used by millions of Americans, potentially spanning mortgages, credit cards, annuities and even basic bank accounts. The consumer agency is just one piece of a broader effort to overhaul supervision of financial markets that Mr. Obama will announce on Wednesday, which some have said could bring the biggest changes to market rules since the 1930s.